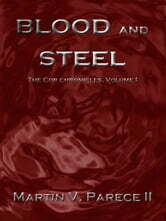 A non-stop fantasy action thrill ride full of swords, magic and battle! Once the blood starts flowing, it just doesn’t seem to stop. 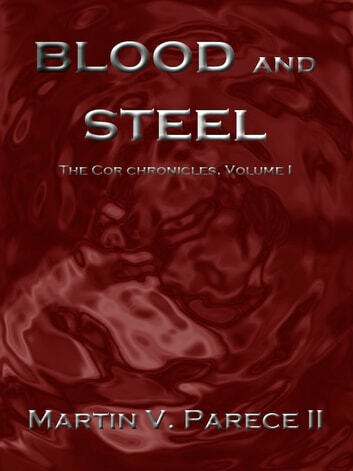 Blood and Steel begins the story of Cor Pelson. You see, Cor is a Dahken – a race of magical warriors long though dead by both the beneficent priests of the Shining West and the necromancers of the Loszian Empire. Shortly after he was born Cor changed – the coughing attacks came, and his skin changed to the gray of a corpse. He is different, and there were those who took notice. 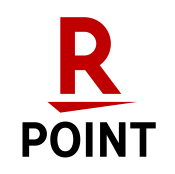 Cor comes to realize that there are those who would control the power in his blood. Frightened and determined to protect those he loves, Cor steals away from home. He quickly finds that the world is not what he thought it was – the world is not full of happy farmers in a bountiful kingdom, living in peace and freedom. It is in fact a cruel, brutal place where blood flows readily and the ability to protect himself is paramount. Those that would control the power in his blood follow him to the sea. Cor must accept that he is different, learn to unlock his strength and take revenge upon the Loszian necromancer who has wronged him. My old man first read this book and also the series. He recommended it to me and so I took the very cheap chance and purchased it. I enjoyed it. It was a fairly quick and light read. So it was good just to sit down and read something that had a story that kept pulling and never slowed it's pace. Interesting characters that I hope continue to develop. Main character is pretty over powering so I hope he faces some opposition or meets someone just as wicked as him. Definitely finishing the series anyways. Cheers. A catching story you want to read. Hard to put aside. Very interesting start to the series.A better editor would have made it better.However the plot has got my attention.